It's scary to even mention these names but well...what can we do? Chairman, House of Representatives Ad hoc Committee Monitoring the Fuel Subsidy, Hon. 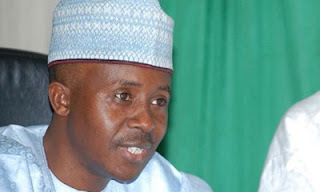 Farouk Lawan, sang a different tune Monday over his role in the allegation that he collected $620,000 from the Chairman of Zenon Oil and Gas, Mr. Femi Otedola, to doctor the panel’s report. Lawan, who had hitherto denied that neither he nor any member of the committee collected money from any of the oil marketers, told reporters in Abuja that he actually collected $500,000 from Otedola, whom he accused of offering him the money to influence the probe panel’s report. Apparently reacting to THISDAY’s exclusive story yesterday where Otedola accused him of extorting money from him to remove Zenon’s name from the list of companies that collected foreign exchange from the Central Bank of Nigeria (CBN) without importing petroleum products, Lawan said it was Otedola who initiated the bribe offer. The House, however, is considering two options of dealing with the scandal, which many lawmakers have described as an undue embarrassment to the legislature, when it resumes plenary on June 19 after a one-week recess. It was learnt that the House might either refer the matter to its Committee on Ethics and Privileges for probe or set up a special ad hoc committee to investigate the matter. On his part, the Attorney General of the Federation and Minister of Justice, Mr. Mohammed Bello Adoke, has promised that the Federal Government will take appropriate action when it receives the report of investigation into the allegation. Lawan said he had informed the Chairman of the House Committee on Narcotic Drugs and Financial Crimes, Hon. Adams Jagaba, through a letter dated April 24, 2012 of Otedola’s alleged persistence to bribe him to influence the outcome of the investigation. Lawan said he attached “the sum of five hundred thousand dollars only offered to me with another promise of two million, five hundred thousand dollars” to the letter. On why he did not raise the issue on the floor of the House, he said he declined to do so as not to divert attention from the essence of the fuel subsidy probe. Lawan, in a statement in which he gave a detailed account of what transpired between him and Otedola, said: “I had considered bringing this issue as a matter of privilege on the floor of the House later today (April 24), but I am concerned that the controversy it will generate will dwarf the contents of the report, which needs public attention so that necessary reforms in the sector could be affected. He also said that the ad hoc committee’s secretary, Mr. Boniface Emenalo, whom Otedola had said collected $120,000 on his (Lawan’s) behalf informed him that Otedola offered him $100,000. Lawan also stated that the police were aware of the offer of bribe as the Inspector-General of Police (IG) in a letter dated May 9 directed the Task Force on Investigation to meet him. The letter was signed by the Commissioner of Police, Special Task Force, Ali Amodu. He said that in another letter dated May 16 with reference number CR:3000/IGP.SEC/STF/FHQ/ABJ/VOL 2/319, and signed by Amodu, the IG requested the money exhibit, names of witnesses and other material evidence from him. Lawan explained that in a letter dated May 31, he told the IG that the matter (bribe offer) had been referred to the relevant committee of the House for legislative action. He said he promised that the House would inform him (IG) about the outcome of the legislative actions. According to him, the IG in a letter to the Speaker of the House, Hon. Aminu Tambuwal, dated June 4, 2012, stated that a detailed criminal investigation had been ordered into the matter. His account of the story Monday completely contradicted the version he gave on Sunday in Abuja, where he claimed that he had previously alerted the public on the bid by an oil marketer, who he did not name, to bribe the ad hoc committee members and the House leadership to influence the outcome of the fuel subsidy probe report. He further denied that neither he nor any member of the committee collected money from any of the oil marketers. Otedola, on Sunday revealed to THISDAY how Lawan and Emenalo had collected $620,000 from him, as part payment of $3 million, in a sting operation masterminded by the security agencies. He narrated how Lawan had allegedly approached him a few days before the report was to be tabled on April 18 before the House of Representatives, demanding money so that Zenon’s name would be kept out of the report. It was, however, learnt that shortly after the bribe scandal became public, Lawan attempted to persuade the House leadership to provide him a soft-landing. 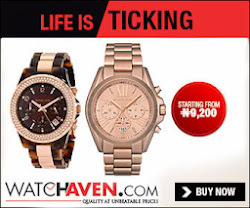 Sources said Lawan on learning that security agencies were in possession of the video clips containing the alleged bribery incident, sought for a way out of the mess and opted to publicly tender the “marked dollar bills” as exhibit at one of the plenary sittings of the House. However, the plot failed when Speaker of the House, Tambuwal, and some principal officers of the chamber confronted Lawan and demanded to know why it took him about six weeks to disclose that an oil marketer attempted to bribe him. However, speaking on the issue, Adoke said in a telephone interview with THISDAY Monday night, that the Federal Government will not condone any act of impropriety, adding that the country has enough laws to prosecute any offender. “We are waiting for the report. As soon as we get it, we would investigate it and take appropriate action. The Federal Government will not condone any act of impropriety. We have enough laws to prosecute anyone who commits an offence in the country,” he said. When contacted, the Economic and Financial Crimes Commission (EFCC) stated that it had not been formally informed of the alleged bribery scandal, but would act once the report reaches them. Corroborating EFCC’s position, sources confirmed that the State Security Service (SSS) has not sent a report on the bribe to any of the law enforcement agencies. The SSS, however, was said to have notified Tambuwal several weeks ago of the information at its disposal on what transpired between Lawan and Otedola. The speaker, sources said, was said to have been shown the video footage showing Lawan collecting money from Otedola and the conversation that transpired. Also, when the Chairman of the House Committee on Narcotic Drugs and Financial Crimes, Hon. Jagaba, was contacted to confirm receipt of Lawan’s letter, he denied receiving any letter to that effect. “I am not part of the Ad Hoc Committee on Monitoring the Fuel Subsidy and to the best of my knowledge, I did not receive any such letter of complaint about an attempt to bribe the subsidy committee. I am not aware of anything concerning that transaction (bribery) and my committee is not in possession of such a letter,” he told THISDAY in a telephone interview Monday. Jagaba said that while he could not hold brief for Lawan, it would be important for Nigerians to look at the issue on its merit. According to Jagaba, the subsidy report unveiled monumental corruption in the management of the subsidy scheme and should not be undermined because of the bribery allegation against the committee.